Rabbit anti Bovine, Human, Mouse, Rat MIF. 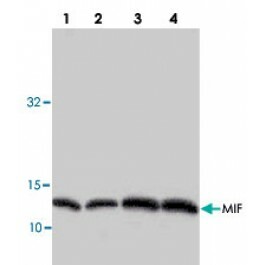 A synthetic peptide corresponding to residues surrounding amino acids 67 of human MIF. 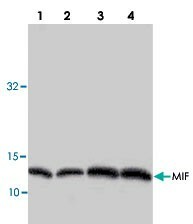 Rabbit polyclonal antibody raised against synthetic peptides of MIF.